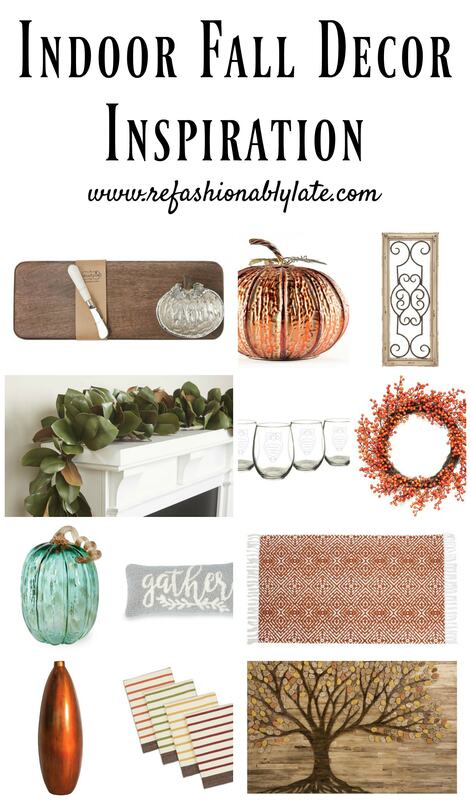 Fall is right around the corner and I’m looking forward to spicing up my decor with some fall touches! Surprisingly, August in Minnesota this year is already feeling like Fall. Typically it’s warm and humid but this year it has been cool! I’m not complaining by any means as Fall weather is my favorite! It is strange though and I’m looking forward to a little warmer weather before the end of Summer! 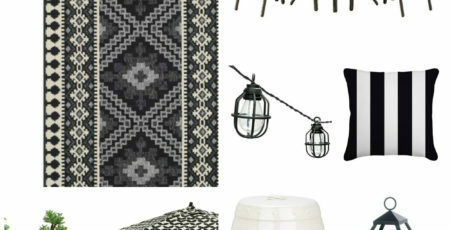 In the coming days of Fall I wanted to put together some great decor options for your indoor and outdoor spaces with Wayfair. 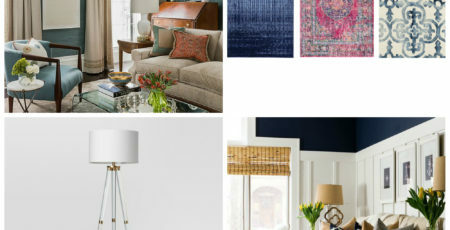 Wayfair has become one of my go to places now to shop. You can find anything and everything and it’s all at a really great price. Currently I have my eyes on a few couches! I can’t wait to finally get one for our living room. There are obvious ways to bring in Fall into your home by using pumpkins and leafy garlands. I love to use those things but then I also like to add more subtle touches to my decor. I love bringing some fall colors into my home by adding a vase on the table or hanging dish towels on my stove. You could even replace a piece of art with a more seasonal piece of art to bring in that warmth to your decor. Grab a wreath and use it as a centerpiece on a table or coffee table and put some candles in the middle of it. The possibilities are endless and it’s so fun. 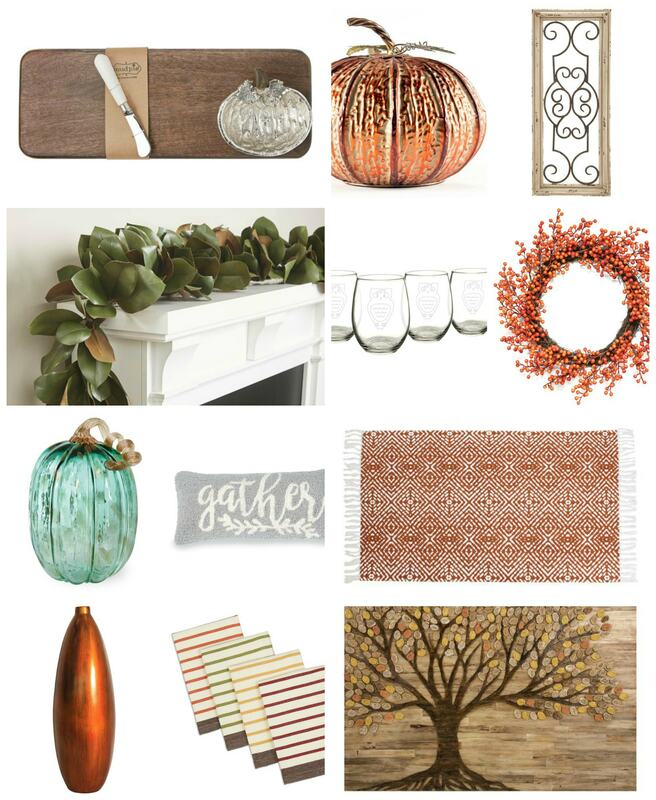 You can definitely bring the look of fall into your home without decorating with the stereotypical fall decor items. 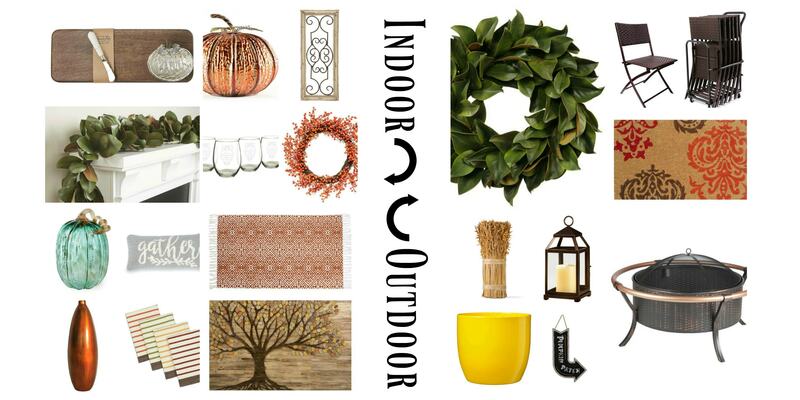 I love to decorate outside as well as the indoors. It’s fun to add some decorative touches to your front porch and even your backyard. When I think of Fall I think of camp fires. I love portable fire pits so it can be moved around the yard. We have a smaller back yard so I love to have lots of room for my daughter to play. I never want to build a stationary fire pit for that reason. I like to be able to place it in one spot one night and then another spot the next night. I also love the look of the folding chairs as they aren’t your typical chairs. Add a beautiful magnolia wreath to your front door and plant some pretty flowers in fall colored planters. Grab some pumpkins and place them around the wheat bundle and hang a sign up near that decor. 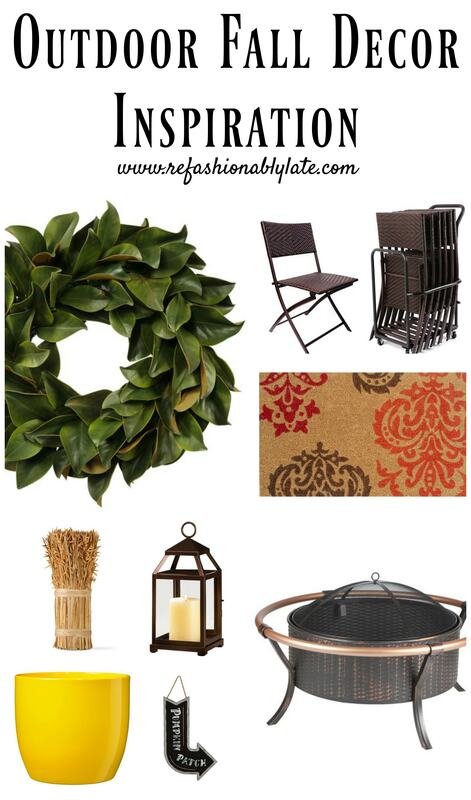 Last but not least find a seasonal doormat to go with your decor. Isn’t it fun to think of what could go together to create that warmth with Fall colors. Think outside of the box of what you could do with specific items to add them to your decor. You don’t need to immediately go out and buy a ton of fall decor. Shop your home a little bit and shop online a little bit! Best of both worlds! 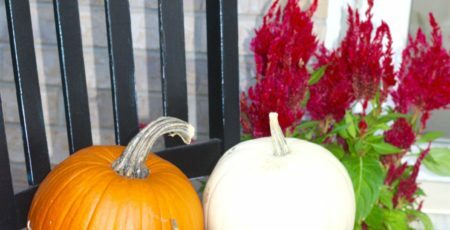 What are your favorite go to decorations for the Fall? Do you love pumpkins? Do you love Fall colors? Do you like to decorate with leaves? I’ll be back tomorrow with a little monthly update for you all! 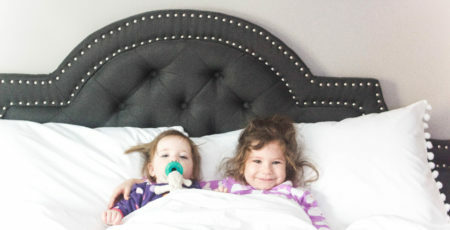 I haven’t filled you in on our busy life with two littles lately so can’t wait to share it all with you! Happy Thursday! Yeah to almost being Friday!